Located on a town centre site, adjacent to the River Severn and in an area subject to flooding, the new headquarters for Shrewsbury and Atcham, now Shropshire county Council were completed in 2004 at a cost of £10.7m. 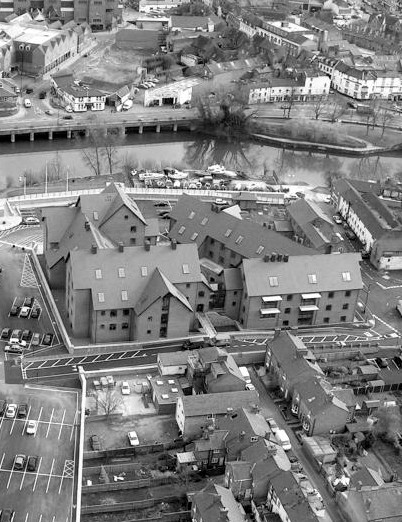 The offices are in an area historically associated with wharfs and warehouses at the highest navigable point of the River Severn. 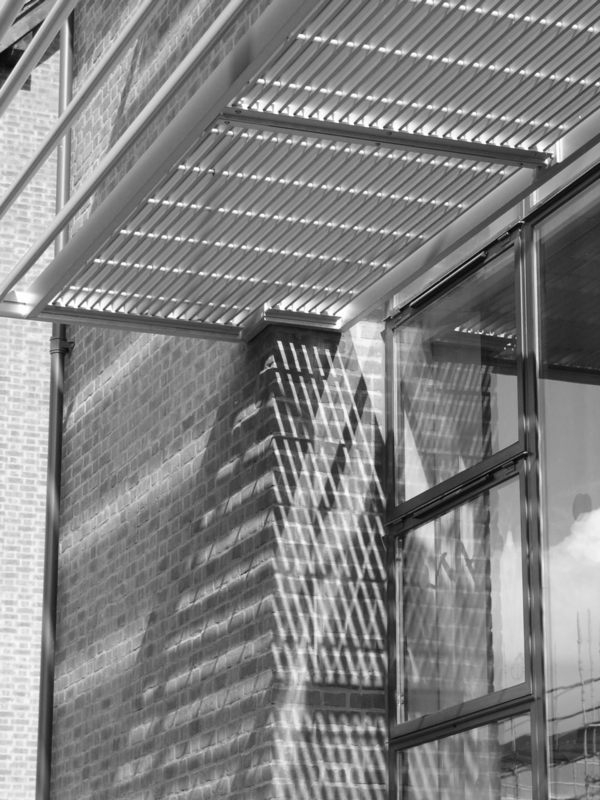 The aim of the design was to sensitively introduce a large office building, commissioned to provide a new headquarters – the guildhall – for the Local Authority. The accommodation was designed as a series of linked blocks to reduce the visual impact of the scale and massing of the scheme. The site, although protected by a flood barrier commissioned by the Environmental Agency and built simultaneously, is liable to flood. To allow for this the office accommodation was raised up above the car park. From the outset it was important that the building was designed to a strong ecological agenda. The design features natural passive ventilation, energy capture through photo-voltaic cells, grey water recycling for the toilets; and the use of sustainable materials. Upon completion the development achieved a BREEAM rating of “very good”.